Company Incorporated and Trafigura B.V, without valid agreements. The contracts were formalised in December 2014 and backdated to cover the period from when they earlier expired. would be invited by the committee. approved the contracts,” he said. seized as part of her bail conditions. exchange rate of N200 to one US Dollar within one month. 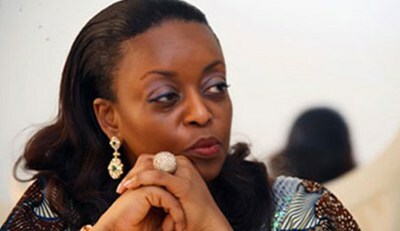 businessman and the Chairman of Capital Oil and Gas Services Ltd., Dr.
is virtu­ally crippling the economy. one month, if given the mandate. whether at the Federal, state or local government levels. do not have an oil block – and I have not asked for one. acting as Abubakar Shekau in some videos on the social media. confirm the arrest of the Shekau’s actor yet. had been eliminated and others apprehended in the North-East. the process, some were eliminated and others had been arrested. of the N400 million alleged to be part of arms purchase funds. in­dispensible person in order for a prima facie case to be present. the prosecution has not made such case against him and his company. contrary has not been pronounced by the court of competent jurisdiction. her first child Lotanna for the ex-minister of aviation recently. that he is very compassionate, passionate and very fair to everyone”. didn’t even take it serious sef until this morning, I saw GOBE! niece who allegedly had been dating 2baba Idibia. Ile- Ife and Benin Kingdom Uniting?Wow! about to be re-ignited with this Marriage. President Muhammadu Buhari is billed to leave Abuja for Suadi Arabia and Qatar tomorrow to engage officials of both countries in talks for the stability of oil prices. The president who would be away for a week will be accompanied to the journey by a high-powered Federal Government delegation, including the Minister of State (Petroleum) and Group Managing Director of the Nigerian National Petroleum Corporation, (NNPC), Dr. Ibe Kachikwu. On Tuesday, president Buhari would fly to Riyadyh, the Saudi Arabia capital to meet talks with King Salman Bin Abdulaziz Al Saud and senior officials of the Kingdom of Saudi Arabia. The President is also scheduled to meet with leading Saudi and Qatari businessmen in Riyadh and Doha. It is also expected that the meeting with the businessmen would eventually lead to investments in Nigeria’s mining, agriculture, power supply, infrastructure, transportation, communications and other sectors consequent upon an invitation president Buhari would extend to them. The scarcity of foreign currencies in the country, especially the dollar, which has made it difficult for manufacturers of essential food items to import raw materials into the country, is threatening about 40,000 jobs. Investigations by our correspondent showed that the high cost of importation due to unprecedented fall in the value of the naira has made importation difficult and expensive, thereby resulting in many factories operating far below their installed capacities. It was also gathered that as a result of the currency crisis, the prices of essential food items were gradually rising as a direct consequence of the high cost of production and the imported substitutes becoming more expensive. The naira, which has been taking a beating from the fall in global oil prices since mid-2014, tumbled to 391 against the dollar at the parallel market on Friday and has remained at the Central Bank of Nigeria-pegged 199 to $1 at the interbank market. On January 11, the central bank stopped the sale of foreign currencies to Bureaux de Change operators as part of measures to reduce the pressure on the nation’s foreign reserves. Since the announcement was made, the value of naira, which was 283 against the dollar at that time, has been depreciating. Speaking with our correspondent on the effects of the falling currency on food manufacturers, the Executive Secretary, Association of Food, Beverage and Tobacco Employers, Mr. Aderemi Adegboyega, lamented that hundreds of jobs out of the 40,000 workforce in the sector had been lost already and that those still in employment were hanging on by the thread. He said the business was no longer profitable and firms in the sector were shutting down because they could not afford to pay the salaries of workers, while producing very little. “We need forex to buy raw materials as a lot of our companies are producing below capacity, which is a big problem. As we are not manufacturing, it means that some of our employees are going to lose their jobs. In our industry alone, we have about 40,000 jobs, and if care is not taken, there will be a lot of loss in terms of the jobs,” Adegboyega warned. While analysing the precarious situation in the manufacturing and trade sectors, the Director-General, Lagos Chamber of Commerce and Industry, Mr. Muda Yusuf, said many organisations were becoming insolvent due to accumulated debts owed foreign suppliers. The APC candidate defeated his main challenger, the former Deputy Speaker of the Kaduna State House of Assembly and candidate of the Peoples Democratic Party (PDP), Dr. Dogara Mato, on Saturday. According to the results announced by the Independent National Electoral Commission (INEC), the APC’s candidate polled a total of 17, 672 votes to defeat the PDP candidate, who polled 10, 772 votes. By this victory, the APC has 28 members in the State House of Assembly while PDP has 6 members. An earlier election held in Lere West Constituency was won by the APC’s candidate, Kabir Mohammed, in the 2015, but his victory was nullified by the Tribunal on the ground that he was not qualified to stand for the election. The Tribunal, however, ordered INEC to conduct a fresh election within 90 days. Meanwhile, report says Jackson Dandali of the APC won in Pankshin North Constituency of Plateau State in the re-run House of Assemble Election on Saturday. According to the INEC, the APC’s candidate polled 17,320 against the PDP candidate who polled 16, 817. The result of Pankshin South is still being collated. The candidate of the All Progressives Congress (APC), Abubakar Dahiru, has emerged winner of the House of Assembly re-run election in Lafia Local Government Area of Nasarawa State. Mr Dahiru defeated his main opponent, Dr. Joseph Kigbu of the Peoples Democratic Party (PDP) to return as the member representing Lafia/Obi Federal Constituency. The Consumer Protection Council (CPC) has ordered MultiChoice Nigeria Limited in the provision of its Digital Satellite Broadcast Television (DStv) to compensate consumers within 90 days and introduce toll-free lines to them, following confirmation of its investigations on allegations of violations of consumer rights. Consequently, the Council in Abuja yesterday directed DStv to release of free-to-air channels, even when subscription expires; compensation consumers across board for lost viewing time and reasonable equitable spread of popular sports channels, among others. Director General of CPC, Mrs. Dupe Atoki, expressed optimism that compliance with these reforms would bring about a new dawn for Nigerian consumers, who would henceforth enjoy value for money in their engagement with the company. Atoki reiterated the Council’s commitment towards sanitising the nation’s market-place for the benefit of consumers, assuring that no stone would be left un-turned to ensure it is no longer business as usual and shoddy service delivery becomes a thing of the past in the country. According to her, “During the course of our investigations, the Council observed that the company’s billing system, whereby “billing is not contemporaneous with the provision of service” was not in the best interest of consumers and therefore ordered MultiChoice to install a billing system that ensures billing starts with the provision of service” She said that the pay-television company was also ordered to within 90 days provide across board compensation to its subscribers, considering the fact that many of them have over time lost legitimate and paid viewing time by its conduct of not restoring service contemporaneously after payment as well as other instances of disruptions. MultiChoice was ordered to keep local and free-to-air channels open so that subscribers would have the opportunity of watching these channels, even when their subscriptions have expired. DSTv was also instructed to present written assurances in line with Section 10 of the Council’s enabling law that it will not engage in any conduct which is detrimental to the interest of consumers. In the same vein, the company shall for 18 months from the date of the orders, subject its processes to the Council’s inspection to ensure compliance with the directives contained in the orders. President Muhammadu Buhari will begin a weeklong official visit to Saudi Arabia and Qatar on Monday, and hold a special prayer for Nigeria before returning to the country. Femi Adesina, special adviser to the president on media and publicity, announced the president’s trips in a statement issued in Abuja on Sunday. The statement said Ibe Kachikwu, minister of state for petroleum and group managing director of the Nigerian National Petroleum Corporation (NNPC), will accompany the president, who is expected to hold talks with Saudi authorities on stability in the price of oil. “Before going on to Doha, the president will also visit Medina and Mecca to pray for greater peace, prosperity and progress in Nigeria,” the statement read. “President Buhari, who will be accompanied by a high-powered Federal Government delegation, including the Minister of State (Petroleum) and Group Managing Director of the Nigerian National Petroleum Corporation, (NNPC), Dr. Ibe Kachikwu, will first fly to Riyadyh for talks on Tuesday with King Salman Bin Abdulaziz Al Saud and senior officials of the Kingdom of Saudi Arabia. “Ongoing efforts by Nigeria and other members of the Organisation of Petroleum Exporting Countries (OPEC) to achieve greater stability in the price of crude oil exports are expected to be high on the agenda of discussions between President Buhari and the Saudi Monarch. Adesina said in Qatar, Buhari will meet with top businessmen and seek support for his administration. “The president is also scheduled to meet with leading Saudi and Qatari businessmen in Riyadh and Doha, and invite them to support his administration’s efforts to revamp the Nigerian economy by taking advantage of the great investment opportunities currently available in Nigeria’s mining, agriculture, power supply, infrastructure, transportation, communications and other sectors,” the statement read. The Chairman of the Economic and Financial Crimes Commission, Mr. Ibrahim Magu, says the anti-graft agency will prosecute those suspected to have benefitted from the $2.1bn arms fund even after they have returned stolen money to the national treasury. Magu, in The Interview magazine’s February edition, was responding to a question on whether the EFCC would enter into plea bargaining with suspects or waive prosecution if stolen funds were returned. He said the priority of the EFCC was to recover the diverted arms funds. The EFCC chairman said the desire for illicit wealth among public office holders was one of the major reasons why corruption had been on the rise in the country. Magu said Nigerians should be outraged by the amount of money originally set aside for the war against Boko Haram, which was diverted for personal use. The EFCC chairman said allegations against the commission that its anti-corruption war was politically-motivated was a proof that corruption was already fighting back. He said, “Political offices in Nigeria are too attractive. This encourages a rat race of a sort. Also, the judiciary, which is the last resort, has allegedly been complicit, making civil servants who have been found guilty of corruption feel confident to poke the law in the face and go scot-free. Tension is mounting within the Christian Association of Nigeria following an alleged plot by President Muhammadu Buhari to install a successor to its current President, Pastor Ayo Oritsejafor, whose tenure expires in July 2016. The All Progressives Congress is said to be interested in sponsoring a pro-Buhari clergy from the North so as to avoid any radical opposition to his administration from the Christian community. He said, “It means that some Nigerians don’t know their President. Your President, Muhammadu Buhari, does not interfere in things like that; so, they need to know the person who is their President. A group of Christians, under the aegis of Christ’s Redeemers’ Union, claimed that the Presidency was interested in CAN election for some selfish reasons The National Director of CRU, Dr. Abednego Olusola, in a statement obtained by journalists on Sunday in Abuja, said Christians would resist any plan by the Presidency to install a puppet as CAN President. 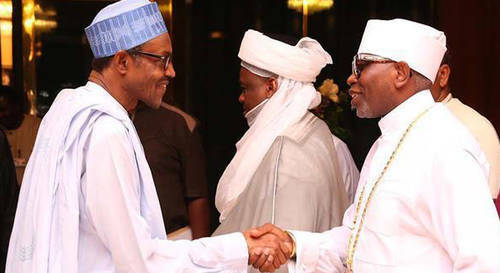 He said, “A top official in the Presidency, who is spearheading the campaign, has started deploying resources for logistics towards ensuring the emergence of a church leader in the northern part of the country believed to be friendly with Buhari. three baby mamas and several kids before he finally tie the knot. But now that he is married and living a peaceful life, we feel the ladies should let the pop star and his wife Annie Idibia enjoy their home. 2baba’s wife, Annie Idibia posted a photo of an unknown woman and accused her of trying to cause confusion in her home. Kanye West shockingly revealed he’s millions of dollars in debt last week and went on a Twitter rant asking for financial hep. Check out the Nigerian bank that was sooo touched they offered to help Kanye.